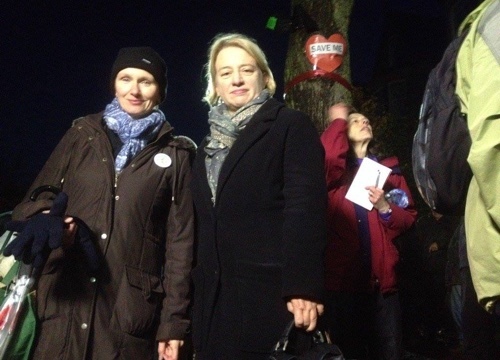 “Sheffield Greens welcome Defra’s intervention, and we are delighted that the British government is siding with tree campaigners. “This latest development highlights how the Council’s blinkered and relentless tree felling is a story of national embarrassment for our city. This Labour administration are responsible for Sheffield now being known globally as the city where they cut down trees. “Contrary to what the Council claim, their disastrous and ill-fated tree felling programme is not supported by residents, does not make Sheffield a greener or safer city, and is completely and utterly unnecessary. “We hope that this latest intervention from a growing list of backers to the Save Sheffield Trees campaign – including charities, celebrities, journalists and local media, and of course thousands of Sheffield residents – will force the Council to abandon the felling of healthy street trees and get round the negotiation table with campaigners”. “In their reply to this demand from the Government to stop the felling, the Council continue to misinform the public. Mr Gove has no more access to the PFI contract than I do, and to suggest that a majority of Sheffield residents are indifferent to the felling programme is nonsense. I receive email complaints almost daily, and thousands of residents have joined the Save Sheffield Trees campaign to object to the fellings.